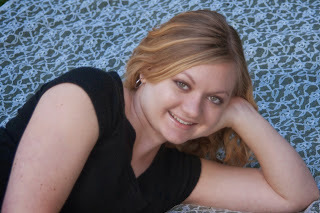 She writes about life, family, faith and whatever else comes to mind at bykrista.com. 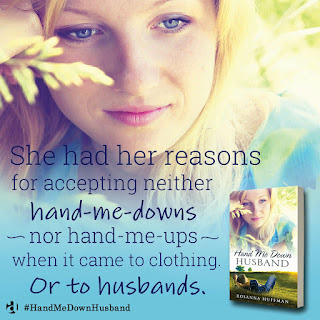 You can also connect with her on Facebook, Goodreads, Instagram, Pinterest, and Twitter. Here's a bit of color and inspiration from a lovely rose garden my mom, sister, and I recently visited to brighten your Monday. :) Hope you have a wonderful start to the week! And look at this beautiful, exciting discovery! 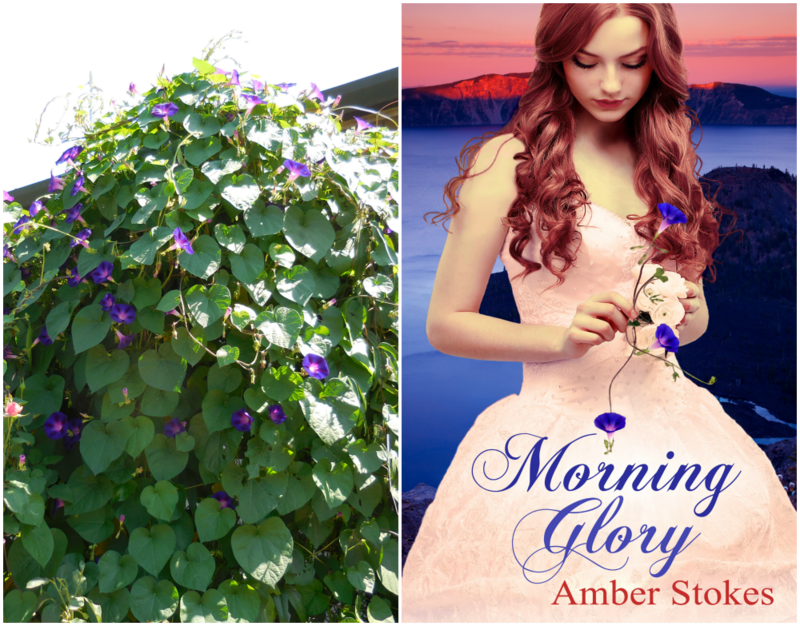 Morning glories - the same color as the ones on the cover of Morning Glory (work-in-progress). Be still my happy heart! These two ought to be nicknamed Myghal and Felicity, dontcha think? A morning glory and a heart - it's just too perfect! *Pictures taken at Owen Rose Garden in Eugene, Oregon. When evidence of sabotage on the Atwood is discovered, Jim and Mary must work together to uncover the culprit. A bewildering maze of suspects emerges, and Mary is dismayed to find that even someone close to her is under suspicion. With the increasing pressure, Jim and Mary find that many new challenges - and dangers - await them. 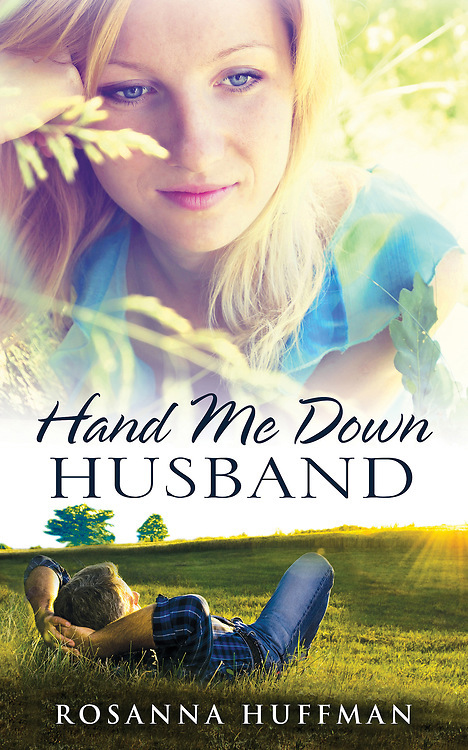 Sarah Sundin is the name to know when it comes to sweet WWII romance! 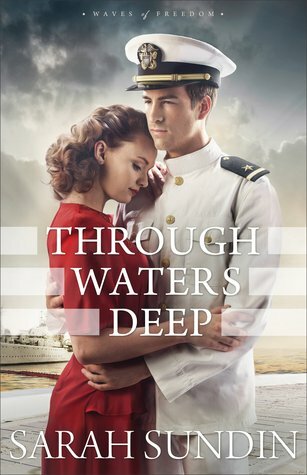 Through Waters Deep is a wonderful start to her Waves of Freedom series, and I love that she's keeping her books fresh by tackling new angles (like setting her story in the months leading up to the war) and experimenting with new plot elements (in this case, a mystery that adds some intrigue and tension to life onshore). Can I just say that Jim and Mary are an adorable couple? They're both so thoughtful and lighthearted, while also sharing an interesting combination of selflessness and self-consciousness. Their interactions are very "aww"-inducing! And their respective journeys to freedom and a deeper understanding of both humility and boldness are very well-crafted. Perhaps this is a bit paradoxical, but one of the things I'd change about this book and other Sundin novels is one of the things that I respect most about her stories. I'd love to have even more time with the hero and heroine together - to have them working side by side more often and experiencing more of each other's tragedies and triumphs. But Sundin's characters feel true to their era and to the themes of each story, and I wouldn't have it any other way. Even if I might have enjoyed having Jim on land for certain parts of Mary's story - and just more often in general - the story would have lost face with me if it waded into the realms of the overly romantic and unrealistic. And really, their times apart increased the drama, the characters' strength of character, and the sweetness of the ending! As for the mystery, Mary takes on more of an "observer" role rather than an active role due to her job. Again, I might have been more "on the edge of my seat" if the action and danger had been ratcheted up earlier in the story, but I admire the realism of the scenario. And the danger certainly does kick in, in due time! I'm not sure how I'd rank this among the Sarah Sundin books I've read, as each one is so well-written and unique in themes and characterization. But I really liked the hero and heroine of Through Waters Deep, and the ending is a perfect blend of satisfaction on the romance level and cliffhanger on the overall series level. Book 2, Anchor in the Storm, sounds like an exciting follow-up to anticipate! You can also check out my reviews of some of Sarah's other awesome WWII stories! High school teacher Suzanne Bloomer has buried herself in her job at New Vision Christian School in Farmersburg, Ohio. 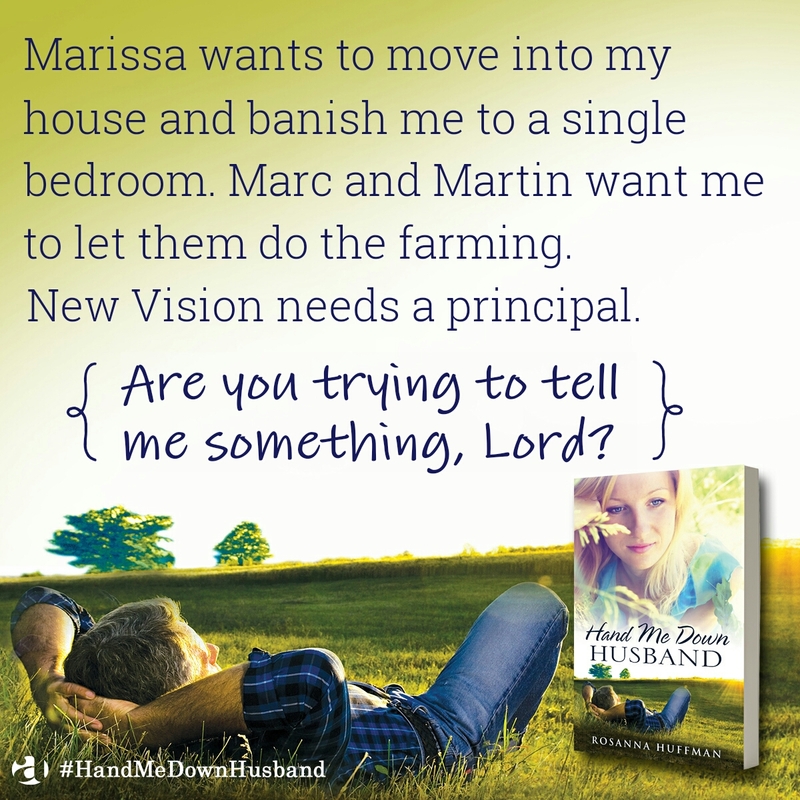 But she’s none too pleased when widower Mitch Sanderson leaves his fields mid-harvest to fill a teacher/principal position at the school. 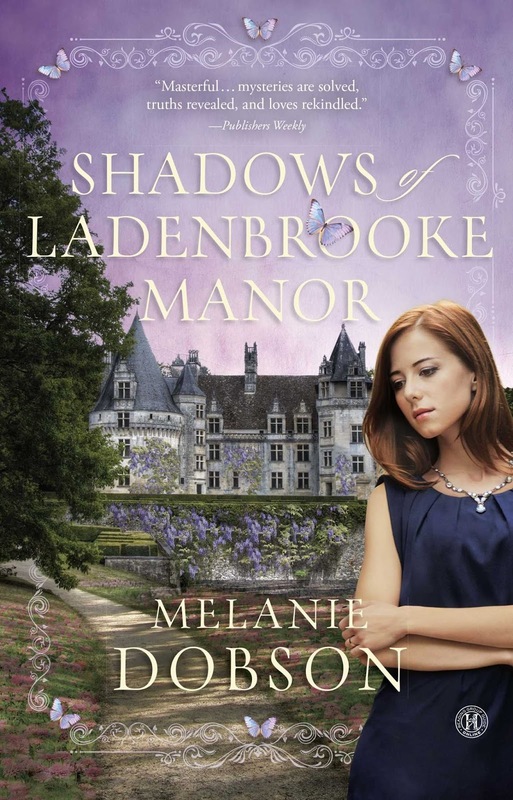 She knows better than to trust a Sanderson, and she’s determined not to be tricked by one again. When Mitch’s persistent kindness starts to confuse Suzanne’s feelings for him, she remembers that she is even less interested in a hand-me-down husband than she is in wearing secondhand clothing. Neither has Mitch forgotten his late wife’s plea that he never remarry. His children certainly haven’t. Will their faith in God and trust in each other be enough to overcome the odds and build a life together? Hand Me Down Husband exceeded my expectations! The premise sounded interesting, but perhaps not my favorite sort of romance story. And I didn't quite catch the actual age range of the characters from the cover, so it threw me off a bit when I realized Mitch was a grandfather. It didn't take long, though, for me to fall in love with the unfolding love story. In fact, the characters' ages were one of the unique highlights of the reading experience! There are several couples in my family with significant age gaps between them, and I really enjoyed reading an inspirational novel that addressed this not-so-uncommon phenomenon. So Suzanne works crazy hours trying to meet the needs of her high-school students (and help some less passionate teachers complete their work). Mitch tackles his new role as teacher/principal with renewed enthusiasm for this task that's quite a bit different from the world of farming. And you know when two people so caring and determined to meet the same goal come together, well, sparks are inevitable! This story has a lovely rhythm to it - and while there are some instances where paragraphs shift scenes rather quickly, which is a tad bit jarring, the pace is enjoyable. 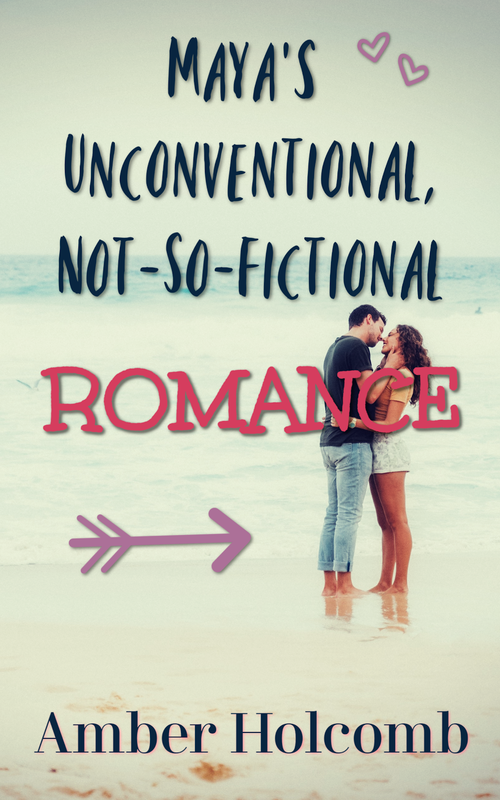 Some of the characters are definitely frustrating, and there are some aggravating decisions and situations along the way, but what's a good romance (or any story, really) without some tension and conflict? 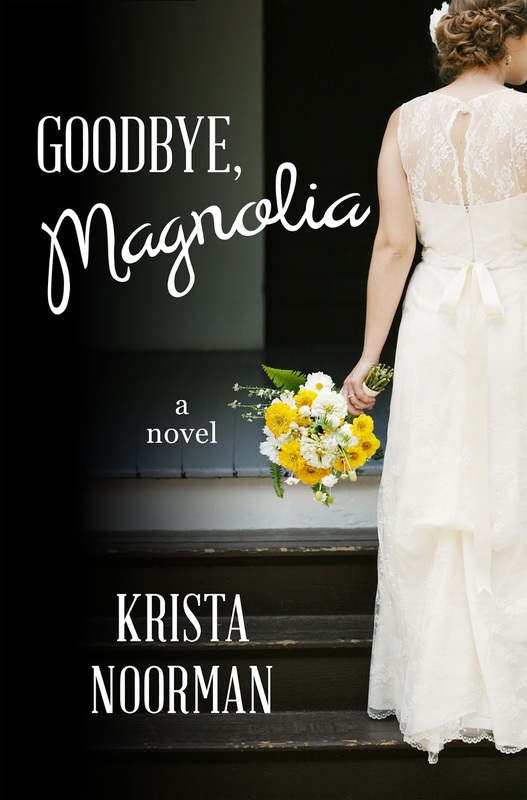 There's plenty of that between some selfish secondary characters, tight finances, and a tangled knot of emotions that create a snag on the road to second chances. Hand Me Down Husband simply made me happy. There's something absolutely charming about the way it shows love growing day by day in everyday life. It's real, but with enough emotional drama and excitement to hold the reader's attention. Delightful! 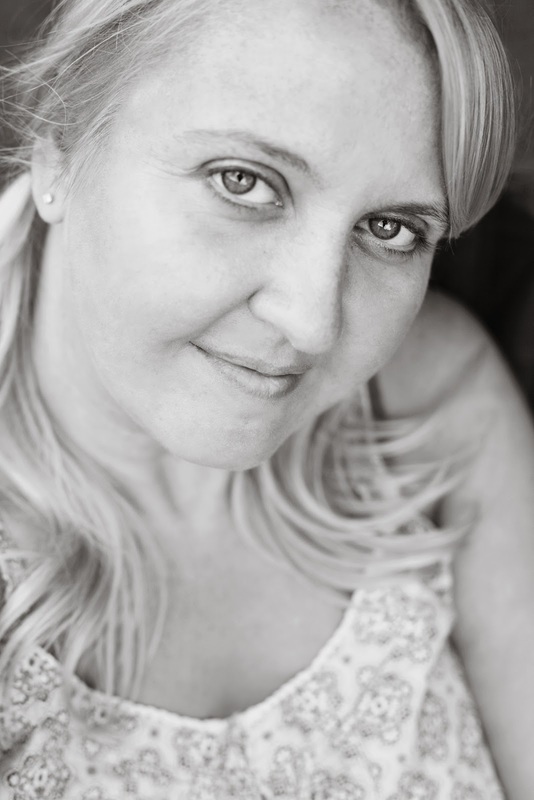 Connect with Tialla on her website, Facebook, Goodreads, and Pinterest. "What would it be like to share all your possessions and live in Christian community? 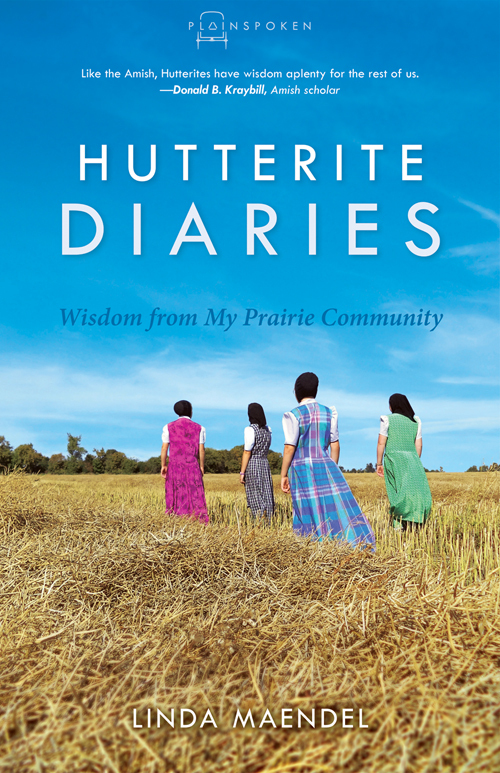 In Hutterite Diaries, Linda Maendel offers a rare glimpse into the daily routines and communal faith of her people, the Hutterian Brethren. From stories of working together to bring in the fall potato harvest to laugh-out-loud tales of sisterly love laced with revenge, Maendel invites readers into her Bruderhof, or colony, nestled on the prairie of western Canada. Here children and adults work, play, eat, and worship together, crafting a community of goods and living out an alternative to the individualism and consumerism of mainstream society. Hear straight from plain Christians as they write about their daily lives and deeply rooted faith in the Plainspoken series from Herald Press. 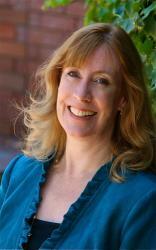 Each book in the series includes 'A Day in the Life of the Author' and the author's answers to FAQs." It's a privilege, indeed, to be given such a personal and touching glimpse into another's culture and lifestyle. 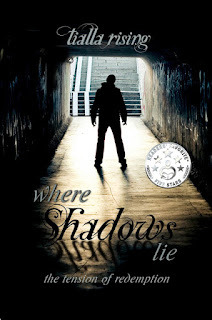 I became online friends with the author a while back through our mutual love of blogging (Linda Maendel blogs at Hutt-Write Voice). She has such a kind and supportive personality, and I enjoyed getting a further sample of her warm writing style and personal history through Hutterite Diaries. This book, in essence, is a collection of vignettes about the author's experiences living in a Hutterite colony. Through the fun, sweet, and inspiring stories, the reader learns about why those of the Hutterite faith live together as a group but separate (in some ways, but not all) from the "world." The reader also becomes privy to the livelihoods, relationships, and community events (both daily, like sharing meals, and more large-scale, like holidays and harvest) of the Hutterites, young and old. The book is divided into four sections ("Fellowship," "Celebrations," "Values," and "Heritage"), with stories collected under each, in addition to "A Day in the Life of the Author" section at the beginning and an FAQs section at the end. The four main sections really kind of flow together (although the last focuses more on the history of the Hutterites in general), and while the stories aren't always obviously connected, they share common themes. 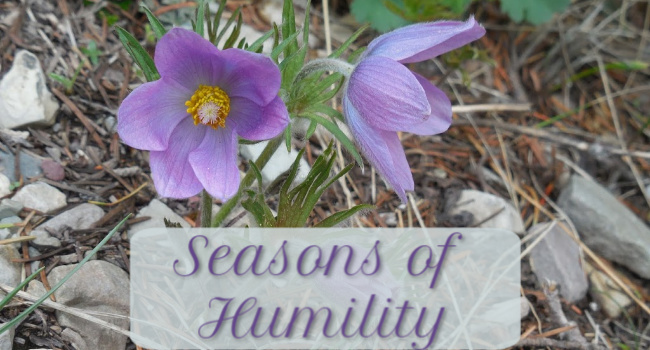 Some of them are simple and more clever in nature, and some are deeper as they reflect on difficult seasons, the bond of love, and the blessings of being able to reach out to one another and share what we've been given, be it tangible or intangible. While not every story resonated in a profound way for me, the overall collection offers a lovely atmosphere of sweetness and simplicity, as well as a reminder to not lose sight of what matters most: faith, family, and the love that binds. I will say that I especially enjoyed "A Day in the Life of the Author"; it's so neat to be able to hear what a typical day looks like in this very different - and yet not so foreign - way of life.